In this presentation, Ronald will talk about the success he had in implementing solutions with CockroachDB. 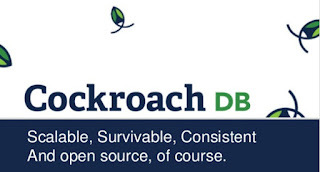 What is CockroachDB? What problems is it good for? How to setup a secure cluster where each node is open for read and for write. How to connect client applications to the database in such a way that the loss of a node does not matter. A quick explanation of how raft consensus ensures integrity. How to use availability zones for even better availability. Wrapping process makes PL/SQL source code unreadable. Developers can wrap package specifications, package bodies, functions, procedures, type specifications and type bodies. Unfortunately triggers cannot be wrapped. To wrap the trigger code you need to place your source code to a package or procedure and call it from the trigger. There are two ways to wrap PL/SQL source code. Wrap utility takes two parameters. First one (iname) is the PL/SQL source code file and the second one (oname) is the output file that will hold the wrapped code. This is an easy way to wrap source code because you do not need to handle DDLs bigger than 32767 bytes. But this way, you need to save DDLs into different files and execute the wrap command frmo the command prompt for each file. It is implemented to fulfill our basic needs such as prefix, suffix, comma separation, min/max digits and percentage(%) values. For detailed information you can visit Java DecimalFormat description page. This post demonstrates how an ADF Faces ProgressIndicator can be used to display the progress of a file upload. The sample application is built in JDeveloper 10.1.3.2. You can download the sample workspace from here. The workspace does not need a database connection to run. The sample application consists of one page that allows the user to upload files to the server. When the upload starts, a progress indicator displays the current status of the upload operation. The uploaded files are not stored anywhere.